Restore your carpets to their former glory! Restore your carpets with a professional clean. Read more about what our happy customers are saying about us. Take a look at some images of our recent cleans in the city. 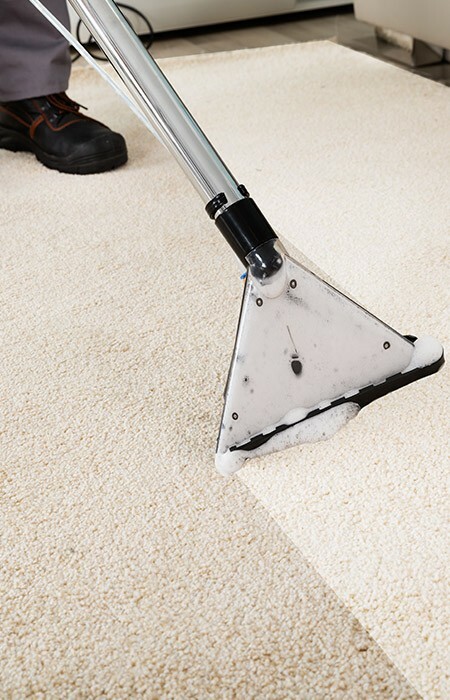 Click here to take a look at our estimated price list for carpet cleaning in Leeds. We have been professionally cleaning carpets across Leeds for years. We've become the experts in stain removal, carpet, rug and upholstery cleaning. Our expert team will ensure your satisfaction with clean, stain-free carpets that smell wonderfully fresh. As our online reviews will testify, we provide a superior fast drying carpet and upholstery cleaning service at an affordable price. What's more, the eco-friendly and chemical-free cleaning products that we use contain no harmful toxins and they won't leave a soapy residue behind. The cleaning method we adopt is guaranteed to be safe for you, your family and your pets. As well as clean, we can also stain guard your carpets, upholstered furniture and rugs. We're also able to clean and stain guard all leather furniture too. In fact, there's little we can't clean. Give us a call and we'll arrange to come out and visit you to give you an on-site fixed price quote by appointment, and all this with no obligation! We think you'll be pleasantly surprised by our prices.